BLO is pleased to support the premieres of 13 original classroom operas this spring through our Create Your Own Opera Partnership residency program in greater Boston area schools. 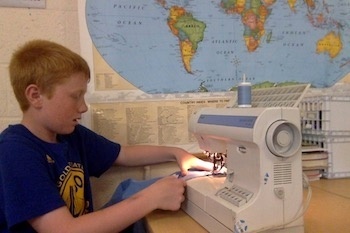 Students have worked hard to write, compose, design, and produce their own operas. In our fifth grade class we are doing an opera with the sixth grade. Our opera is about the Ten Mile Day of the transcontinental railroad. Before the transcontinental railroad was completed on May 10, 1869, there was no railroad that connected all the way across the country. You only could travel through the United States by foot, boat, or horse. In our opera we have a teacher named Heather Gallagher who helps us to do the opera. Heather Gallagher is a professional award-winning opera performer, and a Resident Teaching Artist with the Boston Lyric Opera. In opera class, Heather helps us make a song for Lee Shao and Connor Kelly. We also learned some traditional Irish and American folk songs, and we learned the Chinese poem. Heather helped us put the Chinese poem in music rhythm in the Chinese family scene. Heather uses her opera and theater skills to make our scenes better. 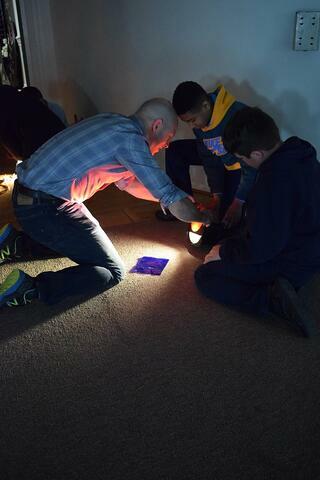 A lighting designer came to school and taught our students to do lighting for our scenes in our opera. His name is Daniel H. Jentzen, who teaches Lighting Design at Boston Arts Academy. He has created lighting for over 500 plays, contests, and special events, including for Opera and the Walt Disney Corporation. 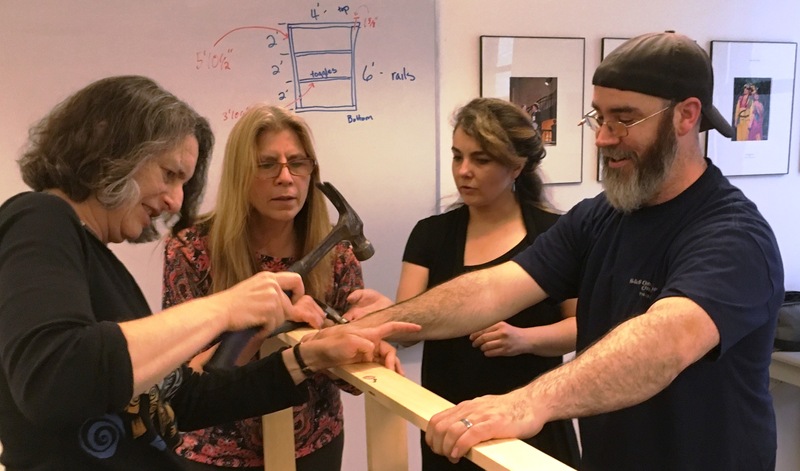 Mrs. Tabela went to a workshop where another BLO member, Raymond Reyes, taught teachers how to build set pieces called flats. 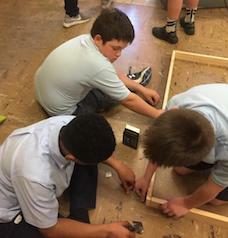 Then Mr Campbell and Mrs.Tabela showed students how to do this work, and fifth and sixth grade students built a flat (a wooden frame for scenery) for our opera. 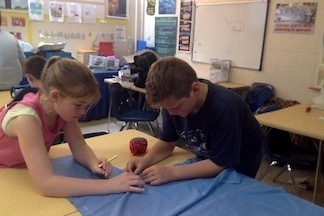 The three past Thursdays Mrs.Tabela taught a group of students how to sew together Chinese crew jackets. We also made cushions for the Chinese family scene. We got a costume for the Chinese mother and sewed a coat for the Chinese father. We are very happy that Heather and the BLO members came to teach us. We are glad that we learned a lot about the opera. Learn more about Boston Lyric Opera's Create Your Own Opera Partnership here.